The Japanese archipelago has a captivating history, a rich tapestry of culture and many natural wonders across hundreds of volcanic islands. Traditions play a strong part in Japanese society and visiting Japan offers an unrivalled cultural experience which immerses you in a way of life unchanged for generations. 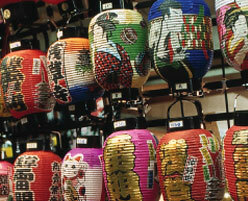 Planning your tour presents an exciting list of iconic experiences to choose from; enjoying life in the neon lit metropolis of Tokyo, marvelling at the serene temples of Kyoto and the blissful cherry blossom in Spring, Mount Fuji and the Hakone National Park, a hot spring bath at a traditional Japanese Inn and glimpsing a geisha in the Gion District to name a few. Beyond these classic images of Japan are hidden and endless opportunities to explore deeper and discover more of this mysterious land. From the lifestyles in the farmlands of the rural areas and the ceremony of Onsen bathing, to the art of making kimono and the etiquette of Kaiseki banquets. With the world’s most advanced public transport systems, travelling around Japan is a delight, the people are gracious and welcoming, and the food is a true culinary experience. A genuinely enriching journey awaits you in the Land of the Rising Sun. 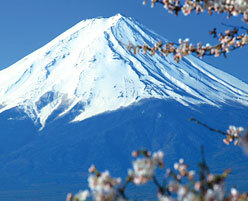 The weather in Japan is mostly temperate, with four seasons. Winters are cool and sunny, and summers, range from warm to very hot, while spring and autumn are generally mild throughout the country. These are the most beautiful periods to visit to enjoy the beautiful blossom and flower blooms as well as the changing colours of Autumn Fall. From London to Tokyo is approximately 12 hours. Direct flights are operated by British Airways and Virgin Atlantic.